Rare and unseen pictures of Berry Nieuwenhuys - LFChistory - Stats galore for Liverpool FC! 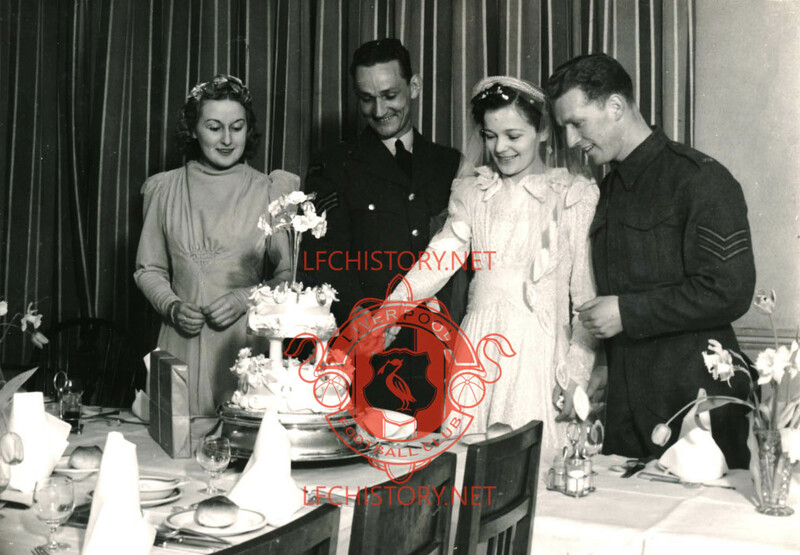 LFChistory.net is pleased to be able to share with you these images that are from Carole Jean Richards, Berry Nieuwenhuys' daughter that we have been lucky enough to be in contact with. South African right-winger Nieuwenhuys, "Nivvy" for short, was a sensational player for Liverpool from 1933 to 1947, making 257 appearances and scoring 79 goals. READ ALL ABOUT BERRY NIEUWENHUYS' fantastic career here! "Nivvy" married Carole's mother hairdresser Ruby Fairclough from Liverpool in 1940/1941. As hostilities reigned in Europe Nivvy and his wife suffered a tragic loss when their daughter Ann died from double pneumonia aged only 2 in 1942, the doctor had dismissed it as only a bad cold! They had a second daughter, Carole Jean, who is our contributor, born 25th December 1944. Ruby and Nivvy separated in 1947 and as he retired from football he returned to Johannesburg in South Africa to take up a position as assistant coach to golf legend Bobby Locke. Nivvy was a useful golfer and in 1946 after hurrying back from Liverpool's tour of the USA, he missed the cut at the British Open by just two strokes. He was also a very talented tennis player and King Gustav VI of Sweden once sent an aircraft to the UK to fetch the South African for a knock-up on the royal courts. Nivvy moved for a spell to Rhodesia, where he married Marjorie Richards in 1964. Carole stayed back in Liverpool but moved to South Africa aged 20. She lived there with Nivvy's former teammate at Liverpool, Dirk Kemp and his family. After Carol had stayed two months there she finally travelled to Johannesburg to meet up with her father for the first time as an adult. Carol was a professional dancer and toured with shows but they met regularly. Carol left South Africa in 1970 but continued to write to her father up until his death in Grahamstown in the Eastern Cape Province of South Africa on 12 June 1984. Nivvy and Ruby marry with best man and LFC teammate Willie Fagan and bridesmaid Phyliss O'Brien. Carole with her second set of parents Dirk and Daisy Kemp. Dirk played 30 matches for LFC as goalkeeper from 1936-39. THESE LAST THREE IMAGES ARE COURTESY OF GAVIN FOSTER.